WFAN's Mike Francesa would be open to adding someone to his afternoon drive time program, the longtime host said in a Twitter post early Saturday evening. 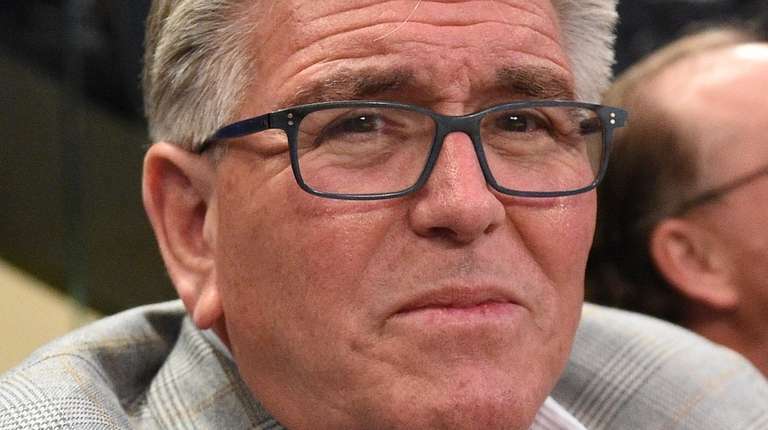 Mike Francesa has informed Entercom, WFAN’s parent company, that he would be open to adding someone to his afternoon drive time program, the longtime host said in a Twitter post early Saturday evening. “I have told the company if I stay I would consider adding another person to the program,” Francesa wrote. “My idea. Nothing can be done in that area without my approval, and NOTHING has been done. Francesa said in October that his return to the station last May after a 4 ½ month absence had been “more uncomfortable” than he expected, and that he might give up the radio show to focus solely on his app. In the months since then, he has continued to deliberate and discuss the matter with Entercom executives, with no resolution. Adding someone to the show would add a new element while perhaps grooming an eventual successor. Overnight host John Jastremski has become a frequent fill-in during day shifts at the station and has shown chemistry with Francesa in guest spots. He also appears on Francesa’s app. Kimberly Jones, who turned down an afternoon drive time spot when Francesa first was slated to leave in 2017, also is a popular fill-in at the station who has made frequent appearances with Francesa. Francesa created a frenzy of speculation on Twitter late Saturday Saturday when he promised to make a statement in response to “the outrageous misinformation and outright lies that continue to be reported” about his future at the station, then waited several hours to issue one. The holdup is determining how the app interacts with other elements of Entercom’s business and Francesa’s platforms.